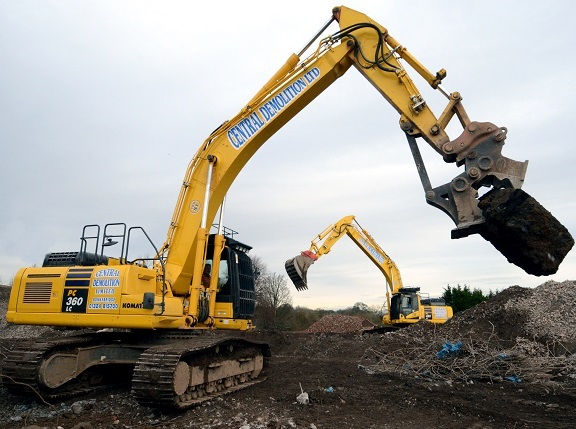 Central Demolition Ltd can provide a number of solutions to our clients including waste management, on-site crushing and the recycling of demolition arisings as well as producing materials for resale such as high quality, washed, 40mm, 20mm and 10mm gravels and washed concrete sand. 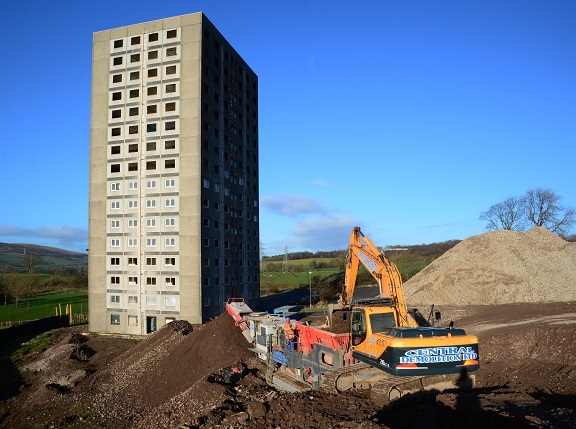 Demolition and site clearance can often be regarded as ‘dirty’ work. We are actively challenging these perceptions through our extensive recycling operations. 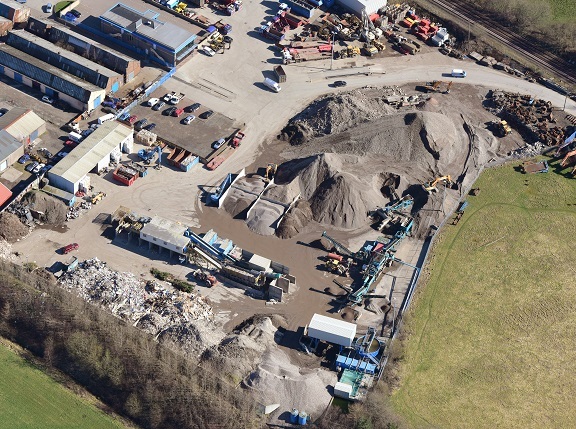 With certification to the ISO 14001 environmental standard being maintained since 2002 and a current average recycling rate of 95% (rising to as high as 99% for some of our demolition sites), we are constantly investing in new plant and equipment and we are making excellent progress in reducing our environmental impact. 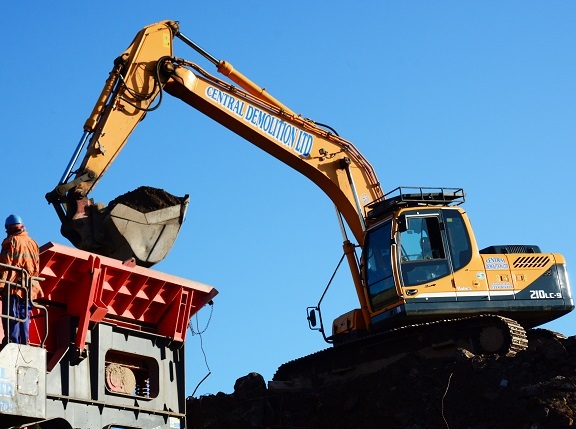 We can manage waste on site with our fleet of mobile crushing plant and at our recycling facilities at our head office in Bonnybridge. 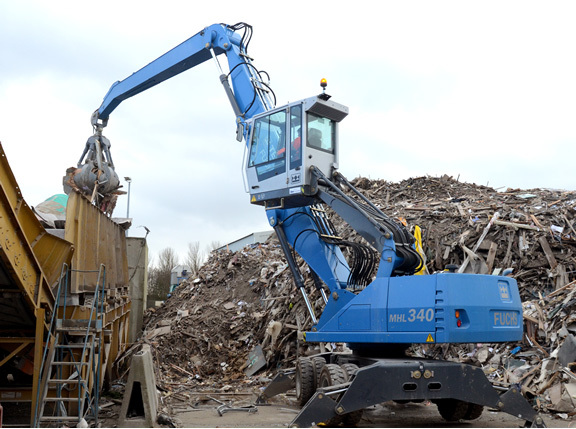 Where clients plan to re-use the demolition arisings for future developments on the demolition site, we can use our mobile plant to crush materials to 6F2 specification which can be re-used during future construction phases. 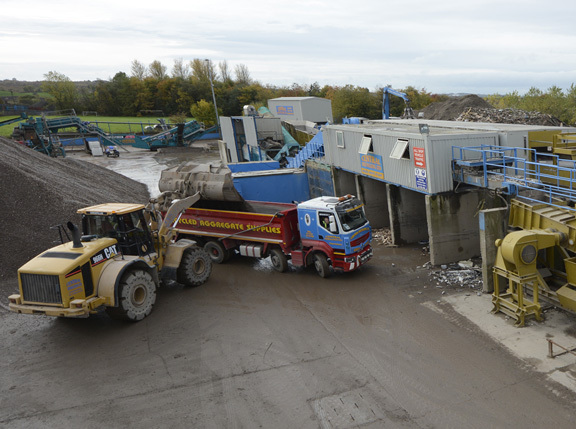 The centrepiece of our recycling commitment is our state of the art recycling facility in Bonnybridge, where our specialist equipment can process waste ranging from household rubbish to bulk concrete and demolition arisings. We continually invest in the latest technologies and equipment that allows us to produce the highest quality materials. 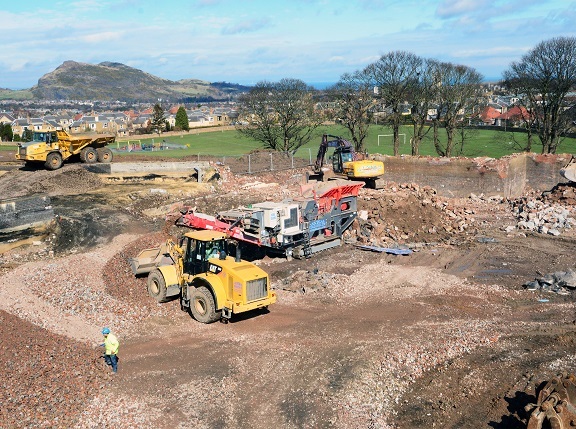 We strive to achieve the SEPA and government target of zero waste to landfill and we expect to achieve this by 2022 by the use of a state of the art, bespoke RDF plant that we are investing and implementing next year. 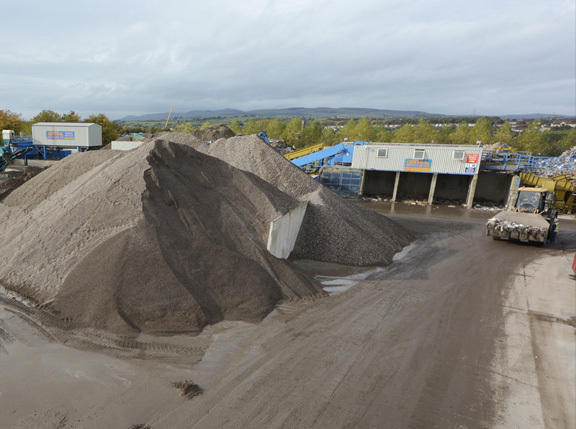 Our innovative wash plant in Bonnybridge which we own and operate is capable of taking soils and rubble, from which we create 40mm, 20mm and 10mm gravels. 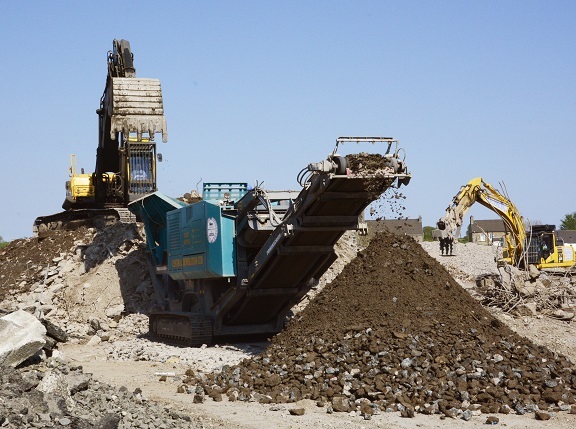 Following washing these are sold as clean gravels meeting the highest specification. The remaining waste that we process is recycled metals, woods, plastic, paper and cardboard all of which are segregated and recycled through our waste processing partners. Our recycling facility is fully licensed by the Scottish Environment Protection Agency (SEPA) and we work hard to help our clients to meet their environmental targets e.g. under the BREEAM assessment and rating system. 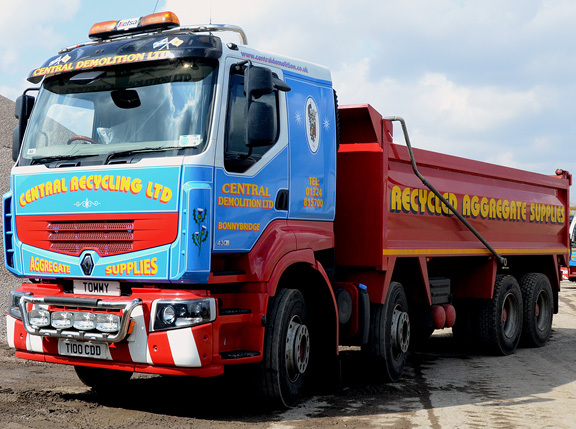 Please contact us on 01324 815700 for further details on how we can assist your recycling requirements.